Mid-City is quite walkable, has some bike infrastructure and offers many nearby public transportation options, according to Walk Score's rating system. So what does the low-end rent on a rental in Mid-City look like these days--and what might you get for your money? We took a look at local listings for studios and one-bedroom apartments in Mid-City via rental site Zumper to find out what price-conscious apartment seekers can expect to find in this Los Angeles neighborhood. Here's a one-bedroom, one-bathroom apartment at 1434 S. Orange Drive, which, at 650 square feet, is going for $1,595/month. Amenities offered in the building include assigned parking and on-site laundry, while the unit features hardwood floors and plenty of natural lighting. Sadly, neither cats nor dogs are welcome. Then there's this one bedroom and one bathroom bungalow at 4730 St. Charles Place, listed at $1,620/month. In the unit, expect air conditioning, in-unit laundry and custom floors. Unfortunately, cats and dogs are not permitted at this time. This one-bedroom, one-bathroom apartment, situated at 4845 Saturn St., is listed for $1,795/month for its 583 square feet of space. 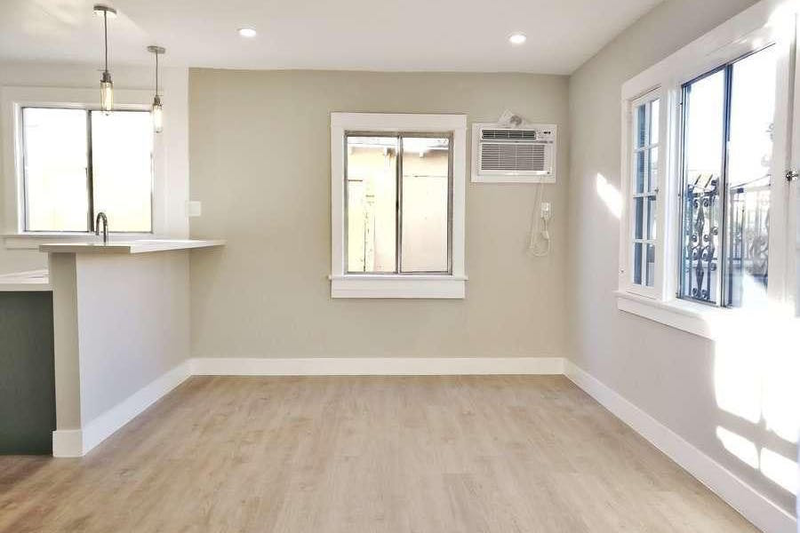 And here's a one-bedroom, one-bathroom apartment at West 18th Street and Vineyard Avenue, which, with 700 square feet, is going for $1,895/month. When it comes to building amenities, expect assigned parking and on-site laundry. In the unit, look for hardwood floors, recessed LED lighting, stainless steel appliances and more. Pet lovers are in luck: cats and dogs are permitted.